I don't know about you, but I'm REALLY into the overall trend right now. Gone are the days of looking frumpy and sloppy. 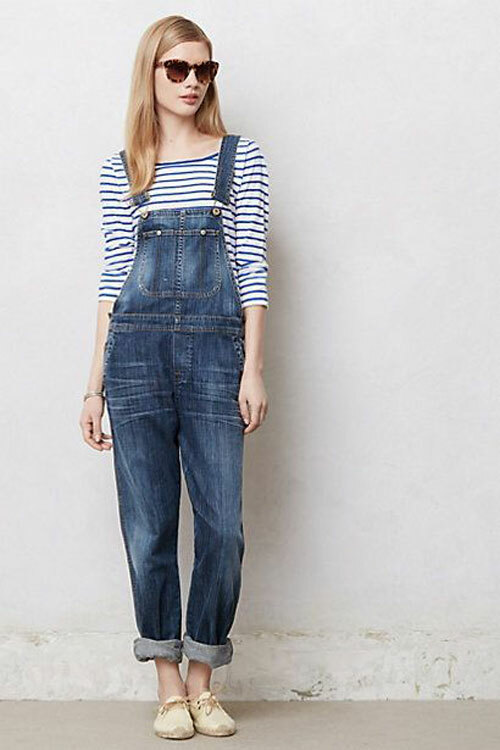 When styled the right way, overalls can look incredibly chic AND flattering. I really want a pair for myself, but can't seem to decide between a long pair or short pair. Given the constant heat in L.A., I'm leaning towards the shorts. What about you? Are you loving the trend? Love the overalls, they are HOT right now!